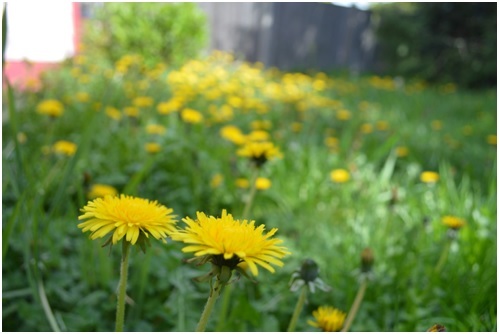 It’s spring-time, and if your yard is anything like mine, you are probably thinking of how to get rid of all the dandelions. They are everywhere, whether you like them of not. They can be a nuisance if you want to maintain a green lawn. But the spread of yellow flowers is also a welcome site that makes a field look so bright on a sunny day, especially when it’s someone else’s yard! But there’s a lot more potential in those ‘weeds’ than many of us realize. Dandelion greens are very nutritious. There is a plentiful supply and you can get them for free! Just be careful to not pick from a place that’s likely to have been sprayed with insecticides or pesticides, or if you are unsure. On top of that, when you are picking them as food, it feels like harvesting rather than weeding, which can be a chore! There are not many things you can harvest early spring in the Pacific Northwest, so having a supply of fresh local greens from your yard is extra special. 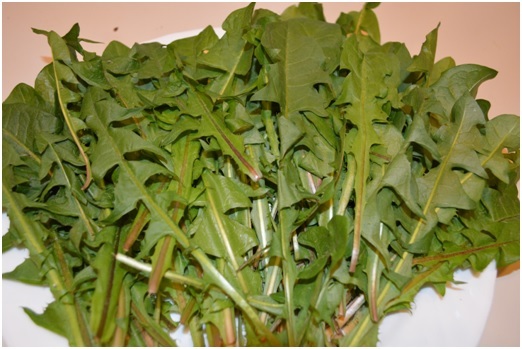 You can enjoy dandelion greens in many different ways. You can add them to your salad or braise them with onions. You can make tea from dandelion roots. 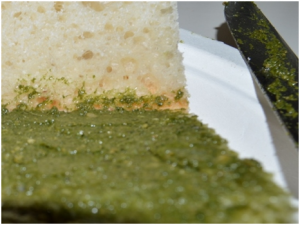 The recipe I am sharing today is for dandelion pesto, which you can use for your sandwiches, pasta, pizza, or however you like. In a food processor (or a blender), add about ½ of the dandelion greens and all the other ingredients. Process for about a minute, until everything resembles a coarse mixture. Add the rest of the greens and keep blending until it comes together as a smooth puree. You may need to add more olive oil if the mix looks too thick. Add salt to taste. This recipe can be very flexible. Be adventurous and try different combinations to make it exactly the way you like it. You can store this in a jar in the refrigerator for a few weeks. Add a layer of olive oil on the top to keep in from darkening.